Norvell Rose, LibertyNEWS TV: Team Obama is deviously using ObamaCare both to divert attention from their real takeover strategy, and also to fund the hijacking of of America. It's a massive and masterful assault on liberty that threatens our way of life. Tags: Norvell Rose, LibertyNEWS TV, team Obama, Obamacare, divert attention, takeover sttrategy, hijacking America, assault on liberty To share or post to your site, click on "Post Link". Please mention / link to the ARRA News Service. Thanks! America Is Choosing Educational Freedom . . .
On the downside, endless legal challenges continue to arise every time a choice system is enacted or implemented. On the upside is the ever-expanding scope of education choice. While many existing programs focus on assisting children with special needs, an increasing number empower greater numbers of children and parents to access the educational system of their choice. Often is heard the expression, “School choice is not a panacea.” Well, nothing in this fallen world is a panacea. There will always be new challenges and difficulties, even in the best-designed systems, administered by the best-intentioned people. But too many public school districts are poorly designed and administered by people determined to deny parents and children effective options. Despite the wishes of foes, America is in the midst of a Renaissance of options destined to transform positively every aspect of American schooling. . . . There are now 14 tax-credit scholarship programs in 11 states, including Oklahoma. There are 18 outright voucher systems in 12 states (including Oklahoma) and in the nation’s capital city. Individual tax credits and deductions to support choice exist in six states. In Arizona, Education Savings Accounts (ESAs) are providing a means for children to access better schools—whether they are public or private. The Arizona program holds, arguably, the greatest promise for the future. There is now in place a rational system of accountability as the program grows. The Arizona ESA system is still relatively small in numbers of students—but it is doubling every year. And, there’s good news: On October 1, the Arizona Court of Appeals upheld the ESA. In the majority opinion, the court ruled the program “enhances the ability of parents of disabled children to choose how best to provide for their educations, whether in or out of private schools. No funds in the ESA are earmarked for private schools. Thus, we hold that the ESA does not violate” the Arizona constitution. The case now moves to the state Supreme Court. The Louisiana “Course Choice” program, pioneered by Gov. Bobby Jindal, drew several thousand participants in its first weeks. It allows use of tax resources to get students online or other access to courses they might otherwise miss. The most popular subject areas in the early wave are Spanish, math, algebra, biology, and civics. Initial enthusiasm among Louisiana’s advocates was dampened somewhat in late summer, when the program empowering thousands of high-schoolers came under direct attack from U.S. Attorney General Eric Holder and the Obama administration. Jindal intends to fight for the program, all the way. Oklahoma’s Lindsey Nicole Henry Scholarship program for special-needs children has been in place for three years. It won an important procedural decision in 2012, but is under renewed attack from a group of anti-choice educators seeking a declaratory judgment. . . . Anyone who spends a few years studying education in America will hear the frequent mantra about the importance of meeting every child where they are in terms of ability, learning styles, and so forth. Yet the government system’s rigidity and lack of rigor often conspires against these noble sentiments. Educational choice is delivering on the promise of content delivery aiming at every child and in every setting. Lindsey Burke, of the Heritage Foundation, detailed the intriguing range of choices being exercised in the nascent Arizona ESA program. While 65.5 percent of participants make a “traditional” choice—to access a private school—an impressive 34.5 percent are making what she characterized as “customized choices,” including tutoring, online course work, textbooks, testing, therapy, and curriculum options. The gurus of choice at the Friedman Foundation and their allies, including Dr. Michael McShane of the American Enterprise Institute, noted that the push for more choice is slowly filling the capacity of existing schools or “seats.” Over the next decade, the challenge is to encourage high-quality schools to expand and to create new high-quality systems. Patrick McGuigan is editor of CapitolBeatOK.com. He is the editor of seven books on legal policy, and the author or co-author of three books, including Ninth Justice: The Fight for Bork. This year the Washington Post political blog, “The Fix,” designated McGuigan one of the three best political reporters in Oklahoma. Tags: school choice, in review, educational freedom NSERT TAGS To share or post to your site, click on "Post Link". Please mention / link to the ARRA News Service. Thanks! Rep. Smith believes that pro-life citizens should know what they are purchasing. They should not be misled by this highly deceptive practice. They should know before they sign up whether their premiums are funding abortion on demand. Without this legislation you would have to wait until you pick a plan before you could find out if it covers abortion. That’s not how the government website should work. Contact your member of congress and ask them to support the Abortion Insurance Full Disclosure Act. We live in a society where we believe that people have a right to know how their money is spent. We expect full disclosure in most areas of our lives. Pro-life citizens need to have this information so their dollars don’t go to support abortion. Kerby Anderson is a Point of View Radio Talk Show host heard on numerous Christian Stations via the Point of View Network. Tags: Obamacare, premium, monthly abortion, surcharge fee, contact Congress, Abortion Insurance Full Disclosure Act, HR 3279 To share or post to your site, click on "Post Link". Please mention / link to the ARRA News Service. Thanks! 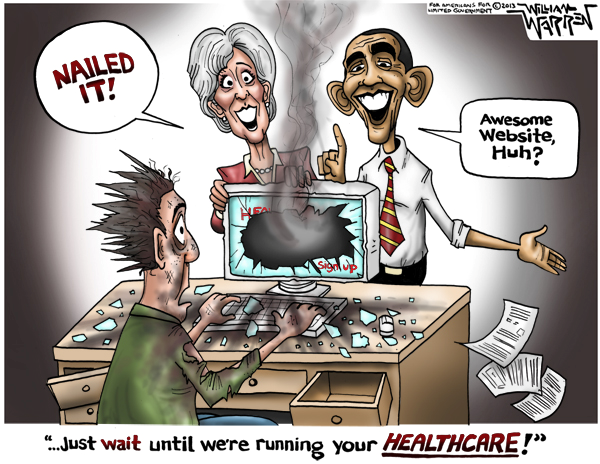 by Lindsey Martin, Heritage Foundation: Obamacare’s consequences go well beyond all the website malfunctions. For example, Obamacare will tax marriage — another blow to the institution that lies at the heart of our society. A tax on married couples will effectively fund couples who cohabitate, divorce, or never marry, The Heritage Foundation’s Collette Caprara explains. This strain will put a burden on married couples at all income brackets. 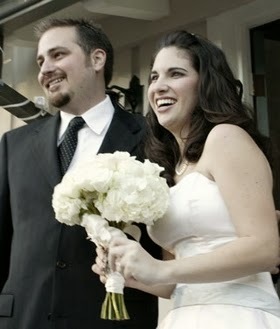 Under Obamacare, couples would be better off financially to separate or never commit to marriage. Keeping traditional marriages and families intact was already an uphill battle as both government policies like welfare and social changes have reduced marriage and increased cohabitation. Not only does marriage provide positive effects for the husband and wife, their children reap benefits as well because they are less likely to experience issues with health, education, and poverty. Caprara elaborates:Without the benefits of an intact family, children are 82 percent more likely to live in poverty and tend to fare worse on a wide range of economic measures. In their teens, they are more likely to engage in high-risk behaviors such as sexual activity, substance abuse, and anti-social behavior. They also tend to fare worse on emotional and psychological outcomes and have lower levels of academic achievement and educational attainment.Do you think married couples should be taxed to provide Obamacare benefits to cohabiting and unmarried couples? Tags: Obamacare, threats on marriage, marriage, tax on marriage, taxes, family, religion, To share or post to your site, click on "Post Link". Please mention / link to the ARRA News Service. Thanks! At the end of the address – recorded in the committee’s hearing room – Upton asks Americans facing hardships from the president’s health care law to visit gop.gov/YourStory to share their experiences. Hey there. I’m Michigan Representative Fred Upton, Chairman of the House Energy and Commerce Committee. Our panel has been active in crafting solutions to improve health care for the American people, as well as conducting thoughtful oversight of the president’s health care law. Over the last year, we have become all too familiar with the troubled rollout of the law with its broken promises, missed deadlines, delays, special waivers, and now website crashes. This week, in this committee room, four of the lead contractors responsible for the troubled healthcare.gov website testified about what went wrong. Next week, we will hear directly from Health and Human Services Secretary Kathleen Sebelius. Despite hundreds of millions of taxpayers dollars invested, the website still does not work for most. At a time when we can do everything from ordering a pizza, flowers, or airline tickets, or banking and paying bills, they expect the same reliable service from healthcare.gov – and it’s still not ready for primetime. Except that it wasn’t, as we now know all too well. The broken healthcare.gov website has captured the nation’s attention, but this is more than a website problem. We are also concerned about what happens next. Will enrollment glitches become provider payment glitches? Will patients show up at their doctor’s office or hospital only to be told they aren’t in the system? And is the personal information Americans provide as part of the enrollment process safe from cyber hackers and identity theft. Oversight is not about blame – it is about accountability… transparency. And it’s about fairness for the American public. In a few short months, families across the country will be subject to penalties under the law’s individual mandate. How can the administration punish innocent Americans by forcing them to buy a product many cannot afford, from a system that does not work? The reality in communities across America is that premiums are going higher – for some, as much as 400 percent higher. And millions of Americans are receiving unwelcome notices that their plans are being terminated. Believe it or not, more people are receiving cancellation notices in just three states than are applying in all 50 states. This is not what health reform promised. In the past few days, the bipartisan chorus has been growing to delay the individual mandate, to delay the penalty that Americans would face for being unable to purchase insurance through this broken system. The business mandate was delayed, and it’s only fair that individuals and families receive the same treatment. Likewise, we should look for bipartisan solutions to allow Americans to keep their current insurance. After all, that was President Obama’s solemn promise during the health care debate. We will continue working toward patient-centered reforms that keep costs down for folks, all the while improving quality of care. This is a matter of fairness for all. If you are facing hardships as a result of the law, we want to hear from you. Please go to gop.gov/YourStory to share your experience. Thank you. And God Bless. Tags: House Energy & Commerce Committee, Chair, Fred Upton, ObamaCare Oversight & Fairness For All, Republican address To share or post to your site, click on "Post Link". Please mention / link to the ARRA News Service. Thanks! Gretchen Hamel, Executive Director, Public Notice: What’s America’s newest horror story? Unfortunately, it’s the rollout of Obamacare. Watch the following new web video highlighting the Obamacare Horror Story. The dysfunction and breakdown of the online health insurance exchanges have turned the launch of Obamacare into a national nightmare for millions of Americans. With a skyrocketing price tag on the glitchy insurance exchanges, can taxpayers afford the government’s scary spending on the Obamacare rollout? Please share you comment using the link below the article and share this video with a friend if you’re fed up with Obamacare’s many failings. 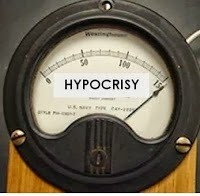 Tags: Obamacare, America, horror story, video, Bankrupting America To share or post to your site, click on "Post Link". Please mention / link to the ARRA News Service. Thanks! disaster penetrating the heart of America. Cartoon was revised from a 2011 version. 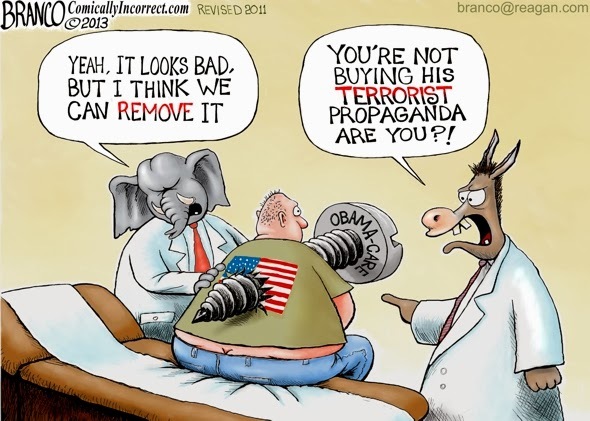 Tags: editorial cartoon, AF Branco, Obamacare, Screw To share or post to your site, click on "Post Link". Please mention / link to the ARRA News Service. Thanks! Why Are My Healthcare Rates Going Up? Tags: #Trainwreck, Affordable Care Act, Obamacare, healthcare rates, going up, Congressional hearings schedule, To share or post to your site, click on "Post Link". Please mention / link to the ARRA News Service. Thanks! by Robert Romano: It is ironic that Senate Democrats who just two weeks ago were dead-set opposed to delaying any aspect of Obamacare are now suddenly jumping on board. Sen. Joe Manchin (D-W.Va.), who on Sept. 30 voted to table House-offered legislation that would have instituted one-year delay of the health care law’s individual mandate, is suddenly all about it. He’s working on a bill that would do just that. Throw in Sen. Mark Begich (D-Alaska), Sen. Mark Pryor (D-Ark), Sen. Mary Landrieu (D-La. ), Sen. Kay Hagan (D-N.C.), and Jeanne Shaheen (D-N.H.), all of whom voted against the individual mandate delay, too. The trouble is that merely delaying the individual mandate still leaves many of the most harmful parts of Obamacare in place. And it may create quite a few problems of its own. Namely, that under the existing regime, according to the Congressional Budget Office, to prevent everyone’s premiums from skyrocketing, the government needs 7 million people to be actively enrolled in the exchanges in 2014 alone. 13 million by 2015, and 22 million by 2016. That is because minimal coverage requirements have been increased across the board, if millions of new consumers do not purchase insurance to increase the pool, the premiums for everyone else are going to go to the moon. This will happen either way if Obamacare enrollment proves to be a big failure. The immediate effect will be huge price hikes, but over just a few years it could hurt business and ultimately put the entire insurance industry at risk. The insurance lobby knew this at the outset, which is why it pushed heavily for the individual mandate in the first place. It would have never endorsed Obamacare if it didn’t think that it would feed the bottom line. The thing is, it is highly dubious even if Healthcare.gov worked they’d ever reach its lofty enrollment goals, particularly if individuals calculate it would be cheaper to pay the fine than to get insurance. What made anyone think that Obamacare would be any more successful at getting insurance for the uninsured than Medicaid has been? The individual mandate was supposed to be that incentive. The problem is that as many as 43 percent of the nation’s uninsured are completely unaware that come January 2014, they must purchase or carry health insurance or else pay a fine, according to a June Gallup survey. If they really don’t sign up or if the individual mandate is delayed for a year, the insurance pool won’t expand as expected, and everyone’s insurance premiums will necessarily skyrocket. In other words, if the Democrats’ generational goal of achieving “universal” health coverage is not achieved, everyone will be punished. Liking Obamacare yet? The only solution at a minimum therefore is a full year delay not only of the individual mandate, but every other mandate including increasing minimum coverage requirements by insurers. And even then a legislative bridge will be needed to mitigate the damage. It appears that the alternative, whether the individual mandate is delayed or not, will in fact be a train wreck. Robert Romano is the senior editor of Americans for Limited Government. His article was shared on ALG's blog NetRightDaily. Tags: Obamacare, individual mandate, delaying mandate, will not fix, Affordable Health Care Act, Gallup survey, Robert Romano, Americans for Limited Government, editorial cartoon, William Warren To share or post to your site, click on "Post Link". Please mention / link to the ARRA News Service. Thanks! Gary Bauer, Contributing Author: Yesterday I reported that hundreds of thousands of people had received notices from their health insurance companies cancelling their current policies. It turns out that's just the tip of the proverbial iceberg. Millions of Americans are going to lose their existing coverage. The Weekly Standard reports that health policy expert Bob Laszewski has analyzed the impact of Obamacare's complex regulations on the individual health insurance market. According to his findings, 85% of existing individual plans do not comply with Obamacare. Translation: 16 million people will lose their current policies. Think about that. That's 16 million people, many are small business owners, who have been responsible enough to buy their own health insurance. Now Obama is telling them in effect, "You can't keep your current policy, no matter how much you liked it. And, by the way, the new one will probably cost even more!" 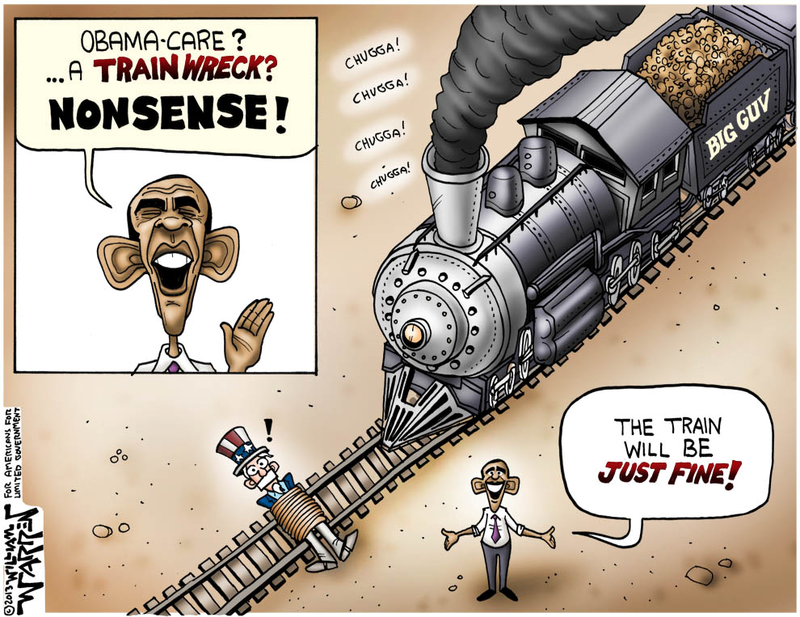 The Obama White House and congressional Democrats are scrambling to respond to the Obamacare "train wreck." They should have seen it coming. Not only did conservatives warn them years ago when they passed Obamacare without a single GOP vote, but even senior Senate Democrats tried to warn them. Six months ago, Senator Max Baucus (D-MT), chairman of the Senate Finance Committee and one of the principle authors of Obamacare, chastised HHS Secretary Kathleen Sebelius, saying, "I just see a huge train wreck coming down. You and I have discussed this many times, and I don't see any results yet." What exactly did Baucus discuss with Sebelius? Perhaps he should be called to testify too. Not surprisingly, Baucus is retiring next year rather than face his own "train wreck" at the ballot box. But realizing the mess they are in, the Obama White House and its Democrat allies are proposing a really radical solution: Now they want to delay Obamacare! The administration announced it is delaying for six weeks the deadline to sign up for Obamacare and avoid the individual mandate penalty for not having insurance. The initial deadline was February 15th. Now it is March 31st. The White House took this step after increasingly nervous Senate Democrats up for reelection next year demanded it. But Democrats are not stopping there. Senator Joe Manchin (D-WV) is drafting legislation to delay Obamacare's individual mandate for one year. Where have I heard that idea before? Oh, right -- proposed delaying the individual mandate by one year as part of a budget deal to avoid the government shutdown. For that they were denounced as "radicals," "hostage takers" and worse. Traditional morality teaches that lying, cheating and stealing are wrong. But the philosophical left argues that morality is in the eye of the beholder. If you're serving the left's greater cause, the ends justify the means. Lying can be okay in order to stop "Neanderthal" conservatives. Over the years, the left has engaged in lying more and more frequently as a political tactic. When thousands of people came to Washington in March 2010 to rally against Obamacare, liberal members of Congress intentionally walked through the middle of that rally rather than use the vast complex of trams and tunnels that run underneath Capitol Hill, which allow members of Congress to avoid the "smelly tourists." As they walked through the crowd, some members of the Congressional Black Caucus claimed they were spat on. In this age of instant cell phone videos, no evidence was ever produced to support that outrageous charge. Yet that incident has been repeatedly cited as evidence of the rampant racism within the Tea Party movement. I have experienced the same tactics. During a recent speech, I said that the nihilistic left wants to kill Judeo-Christian civilization. A leftwing blogger funded by George Soros and assigned to monitor my speech wrote, "Bauer just said liberals want to kill Christians." That lie is now in the blogosphere and will be repeated over and over again. People who come across it will assume I am an extremist for saying something I never said. "Many Republicans searching for something to say in defense of the disastrous shutdown strategy will say President Obama just doesn't try hard enough to communicate with Republicans. But in a 'negotiation' meeting with the president, one GOP House Leader told the president: 'I cannot even stand to look at you.' What are the chances of an honest conversation with someone who has just said something so disrespectful? "The public is being told over and over again that House Republicans are dominated by the Tea Party movement, which is dominated by racists. Now Durbin claims that one GOP House leader is so racist he can't even stand to look at Obama. Desperate for a top GOP scalp, the White House press corps pummeled Press Secretary Jay Carney yesterday demanding to know who the offending congressman was. Alas, Carney had to disappoint them. He told the muckrakers that the incident never happened. Nevertheless, Durbin is sticking by that lie and the post has not been removed from his Facebook page. The Huffington Post said the story came from Harry Reid, who said he got it from a White House aide. You'll recall that Harry Reid repeatedly claimed last year that "an extremely credible source" told him that Mitt Romney had not paid any taxes for ten years. That also turned out be false. And that's all you need to know about the state of political discourse in Obama's Washington. Tags: Million, lose current healthcare policies, healthcare, Obamacare, liberals, Moral Relativism, The Left, desperation, lies, disrespect of American people, Gary Bauer, Campaign for Working Families To share or post to your site, click on "Post Link". Please mention / link to the ARRA News Service. Thanks! Mikey and the Murfs are bragging about their latest score. It took just 68 minutes for the Murfs to pull down a poster at the U.S. Air Force Academy. Why? Because the poster promoted the honor system and said—“So help me God.” Well, Murfs can’t stand any mention of You Know Who, so Mikey swung into action and demanded the offending poster be pulled down. It took just 68 minutes for the Air Force brass at Colorado Springs to surrender to the Murfs. This is too bad. I recall that Fort Sumter held out for 34 hours in Charleston harbor in 1861. And the Alamo held out longer than that. Let’s see: Why is that phrase so offensive? George Washington was a pretty successful general. And he took the oath as our first President in New York City on April 30, 1789. SO HELP ME GOD Question for Mikey and Murfs: If George Washington could add those four words, and if every President since could add those four words, why should they offend an Air Force Academy cadet? No one is required to recite those four words. We have a constitutional provision, an important one, that says no religious test shall ever be required. Any cadet — or President, for that matte — is free to say: I do so swear (or affirm). Atheists -- those who do not believe in God -- have every civil right all Americans do. No one should be forced to affirm a belief they do not hold. Atheizers, however, are different. Atheizers are those who run around trying to ban all references to God in American public life. In forcing atheism on the military, however, Mikey and Murfs are creating their own religious test. Atheizers are militant and active. They are trying to create what the late Richard Neuhaus called “a naked public square.” They claim they want “religious neutrality,” but what they seek is nothing less than a No-God Zone. That is enforced atheism. We can joke about the absurdity of Mikey and the Murfs, but it is no laughing matter when top military officers cower before this small group of militants. Atheizers cannot win elections in America, but they can make a lot of noise. Back in 1969, atheizers raised a ruckus about the Apollo 8 astronauts reading from the Book of Genesis as they circled the Moon. They were the first Americans to reach the Moon. NASA, even then, was frightened by this small, noisy crew. NASA told the Apollo XI astronauts—those intrepid young Americans who would become the first men to walk on the Moon—not to say anything religious. So when the Eagle landed on the lunar surface, and as Neil Armstrong prepared to step out, his seatmate Buzz Aldrin did something quiet and determined. He celebrated communion with his Presbyterian congregation in Houston. It was a wonderful moment. It deserves to be remembered. SO HELP ME GOD It’s time for our military brass to show some courage and to tell Mikey and the Murfs to back off. These atheizers have no right to extinguish religious freedom for the rest of us. Ken Blackwell is a former U.S. Ambassador to the United Nations Human Rights Commission and is a senior fellow at the Family Research Council. He is a contributing author to the ARRA News Service. Tags: Ken Blackwell, editorial, Mikey Weinstein, atheizers, Air Force Academy, student oath, So Help Me God, To share or post to your site, click on "Post Link". Please mention / link to the ARRA News Service. Thanks! America is suffering from an epic case of Armageddon fatigue. by Sarah Palin, OpEd, Breitbart.com: Budget showdown, government shutdown, debt ceiling debacle—the stakes are real but the establishment seems to feed off the chaos they create as a means to foment fear and outrage and translate it into campaign donations for themselves. Look closely and you’ll see that something seismic is going on under the surface of the manufactured chaos in D.C.
Washington has morphed into an extortion racket, a place where members of the permanent political class threaten to inflict legislative and regulatory pain to extract campaign donations that they can then siphon into the pockets of themselves and their family members. In a new book featured on Sunday, Oct. 30th on 60 Minutes titled Extortion: How Politicians Extract Your Money, Buy Votes, and Line Their Own Pockets, Peter Schweizer explains how Washington politicians use a set of mafia-style legislative tactics to extort people and industries into donating to them out of fear of political and legal reprisals. Schweizer interviewed former Chairman of Apache Corporation Ray Plank. Plank said campaign cash and lobbying contracts now function as “protection money” to keep lawmakers and regulators from going after you. There are left-wing progressives on Wall Street and in the high-tech world who bankrolled President Obama’s campaign because they love his radical agenda. But as Schweizer points out, many gave because they know they have to; if they don’t, Obama will come after them. But what about the rest of us? What about the average American mom and dad just trying to stay afloat in the disastrous Obama economy? We don’t have the funds to throw “protection money” at the political extortionists in Washington who are eager to foist things like Obamacare on us. Only Obama’s union cronies and members of the permanent political class are given Obamacare waivers and spared the pain of the policies D.C. inflicts on the rest of us. Big business got an Obamacare exemption that Obama refuses to give ordinary individuals who can’t even sign up for Obamacare on the broken exchange websites, but they’ll still be fined for not doing so! In fact, the ability to raise money is apparently key to all the power in Washington. Here’s how bad it’s gotten: the Democratic and Republican Parties actually have a secret price list — officially known as “party dues” — that tells members of Congress how much money they must extract from donors in order to win a chairmanship or a top slot on a powerful Congressional committee. Schweizer somehow obtained the top-secret lists and included the never-before-published documents in Extortion. The fact that these strong-arm tactics take place in Washington doesn’t surprise me at all. I’ve fought this type of corruption my entire political career. And those who disagreed with me politically used thug-like tactics to try to bankrupt my family with frivolous lawsuits in Alaska, and it hasn’t stopped to this day. It’s time for Washington to stop threatening citizens and scaring up dollars through an endless extortion scheme of manufactured crises. It’s time for leaders to lead. That means doing right by voters without requiring them to pay protection money in advance. You have to wonder whether Constitutional rule of law even exists when separate rules apply for powerful and well-connected men like Jon Corzine. And you have to wonder whether we really have government of the people, by the people, and for the people when the only way We the People can be heard is if we grease the palms of the ruling class. Enough is enough. If the permanent political class won’t drain the swamp, we will. We should follow the advice in the title of Schweizer’s last book and Throw Them All Out. 2014 is just around the corner. Sarah Palin is a Fox News contributor and contributes to numerous publicans, a noted conservative leader, a former governor of Alaska and a former candidate for Vice President of the United States. 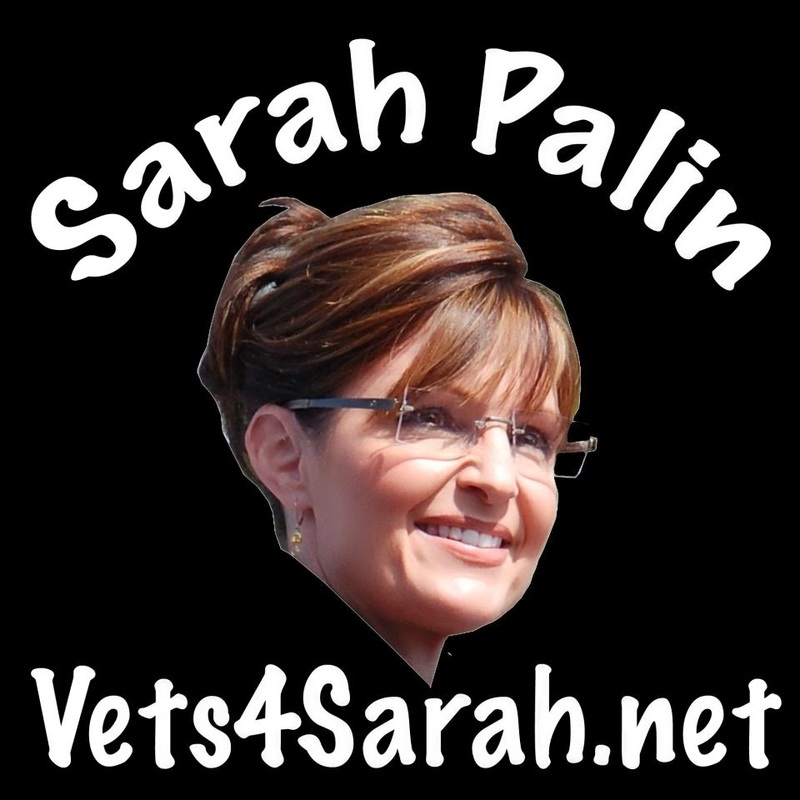 Tags: Sarah Palin, America, suffering, Armageddon fatigue, Vets4Palin.net To share or post to your site, click on "Post Link". Please mention / link to the ARRA News Service. Thanks! The Senate is in recess until Monday, October 28. The House convened today at Noon and then ajourned shortly thereafter. However, the House Energy and Commerce Committee held a hearing today to address PPACA (Obamacare) Implementation Failures, i.e. the questions around what the the issues of "Didn’t Know or Didn’t Disclose?" The hearing will include testimony from lead HealthCare.gov contractors. As I write this article, the The Washington Post is already reporting on the testimony and that "Executives of two companies at a House panel hearing say they needed "months" to conduct the testing, rather than the two weeks or less they were given." ... 'It was not our decision to go live,' said Cheryl Campbell, senior vice president of CGI Federal, which handled most of the project. She said the decision was made by the Centers for Medicare and Medicaid Services, an agency within the Department of Health and Human Services. . . . “This system just wasn’t tested enough,” Julie Bataille, director of CMS’s office of communications, acknowledged to reporters. She repeatedly cited what she called “a compressed time frame” without explaining what that meant or the reasons for it." Note, next week, on Wednesday, October 30th, HHS Secretary Sebelius is scheduled to testify before the House Energy and Commerce Committee about the Computer issues and other problems related to the PPACA website roll out. Following a deluge of reports on the flaws and failures of the Obamacare website, it seems that some Democrats are finally signaling their willingness to join Republicans in calling for fairness for all Americans in how they’re treated under Obamacare. Of course, it’s worth recalling that just last month Sens. Manchin (D-WV), Pryor (D-AR), Landrieu (D-LA), Hagan (D-NC), Begich (D-AK), and Shaheen (D-NH) had the opportunity to vote with Republicans to delay the Obamacare individual mandate for a year (just like the Obama administration did for the employer mandate on businesses) and all of them voted against the delay. Still, it’s nice to see Democrats finally acknowledging just some of the massive problems of the health care law they passed over the objections of most Americans. The question is whether they’ll actually vote to do something about it this time. Tags: House, Water Resources Reform and Development Act, hearing, Obamacare website issues, democrats backing away To share or post to your site, click on "Post Link". Please mention / link to the ARRA News Service. Thanks! Alan Caruba, Contributing Author: No need to wait around three years and beyond to know what Barack Obama’s “legacy” will be. It will be failure. Few, if any, presidents have demonstrated his level of incompetence and ineptitude. Obamacare, the Affordable Care Act, is called President Obama’s legacy legislation, the one for which he will be remembered, much as Franklin D. Roosevelt is remembered for Social Security or Harry Truman is remembered for Medicare. Obama is likely to regret his legacy, though you can be sure that while he lives he will blame its failure on everyone but himself. Obamacare, enacted in his first term, will be emblematic of the eight years in which every policy Obama initiated swiftly became a failure. Does anyone recall his “stimulus” with “shovel ready jobs” that did not materialize? Or “Cash for Clunkers”? 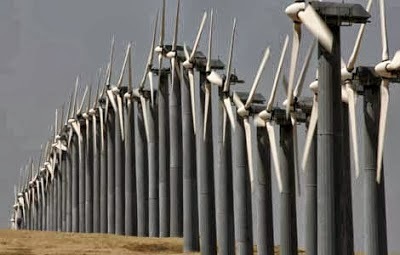 How many millions were loaned to “green energy” companies that rapidly went bankrupt? Not everything failed. His “war on coal” has been a success if you measure success in the number of plants generating electricity shut down and workers laid off. And, of course, there is the doubling of the national debt. It’s a long list. The legislative history of Obamacare begins when it was passed by the House on November 7, 2009 and by the Senate just before midnight on Christmas Eve, 2009. Both houses of Congress had Democratic Party majorities, but it required a lot of arm-twisting and political bribery to enact the bill. President Obama signed it into law on March 21, 2010. It is doubtful that most members of Congress actually read the bill before voting to pass it. By 2010, the midterm elections gave power to Republicans in the House and narrowed the margin in the Senate. Significantly, the Senate refused to consider any of the legislation the House sent over to end the government shutdown. Virtually everything the President said about Obamacare before and since its passage has been a lie. 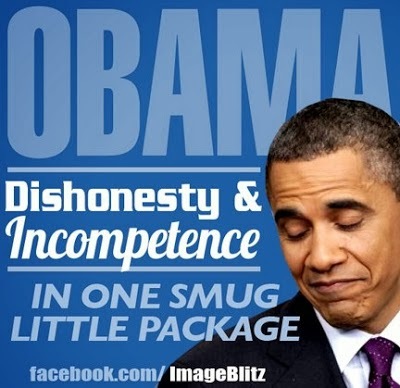 In many ways Obamacare is a mirror image of his character or lack of it. Passed off as a moral responsibility to provide health insurance coverage to those who could not afford it, Obamacare is filled with hidden taxes. When you tax something, you tend to get less of it. It is blatantly unconstitutional in its implementation of fines for failing to sign up. To date, Obamacare’s initial impact has been to turn fulltime jobs into part-time jobs. It has doubled and tripled insurance premiums. It has caused a reduction in physicians as many elect to retire or close their private practices due to its low levels of compensation. Many will not accept patients on Medicare or Medicaid. Indeed, to implement Obamacare, $500 billion was taken from Medicare with an additional $818 billion to be taken from Medicare Part A in 2014-2023. For the senior citizens who were depending on Medicare to help cover expenses, the likelihood is that they will receive reduced services and a poorer quality of care, if they even find care. The nationalization of 16% of the nation’s economy has been a socialist dream that has been around since the 1980s. It has arrived and, like socialism everywhere, it is a failure. Another Obama legacy is his failure to get the economy on track since the 2008 financial crisis. It was a crisis caused by the interference in the housing market that has been around since the creation of two government “entities”, Fannie Mae and Freddie Mac, who not only purchased billions in mortgage loans, but demanded that loans be made to those who lacked the capacity to repay them. They then bundled the loans as “assets” and sold them to Wall Street. Though Wall Street is blamed for the crisis, the government seized control of Fannie Mae and Freddie Mac. Both are back in business. This is a formula for future crises. According to the latest figures from the Bureau of Labor Statistics, 90 million Americans are not working. A recent report from a coalition of businesses, advocacy groups, policy experts, and nonprofit organizations concluded that 49 states have seen an increase in the number of families living in poverty and 45 states have seen household median incomes fall in the last year. Led by Opportunity Nation, a think tank that focuses on the young, the report concludes that almost 15% of those aged 16 to 24 no longer attend school or have a job. This is a vast aimless and frequently hopeless cohort of the population. It does not bode well for the future in terms of skills that will not be taught and will not be utilized. And yet this is a President who, in the wake of the failure of the Obamacare website, said, “Thousands of people are signing up and saving money as we speak.” He is lying. Like the fable of the little boy who cried wolf too often, millions of Americans no longer believe anything Obama says these days. Even for his supporters, the evidence is so great as to be unavoidable. It is increasingly likely that the 2014 midterm elections will resemble the 1994 election that returned Republicans to control of Congress after some four decades by the Democratic Party. Tags: IObama's Legacy, failure, oped, Alan Caruba, Warning Signs To share or post to your site, click on "Post Link". Please mention / link to the ARRA News Service. Thanks! Tags: Obama, Bunker Mentality, Obama Administration, website, problems To share or post to your site, click on "Post Link". Please mention / link to the ARRA News Service. Thanks! 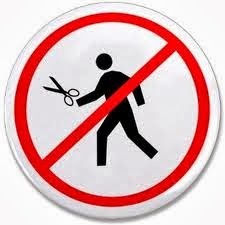 Obamacare Chat Assistance Response: "Don't Run With Scissors . . ."
The below video has excerpts from a real online chat between a potential customer and a customer service representative for Healthcare.gov. For the full chat transcript and to share your story, visit www.gop.gov/YourStory. Tags: Obamacare, chat assistance, comments, video, #trainwreck, links To share or post to your site, click on "Post Link". Please mention / link to the ARRA News Service. Thanks!